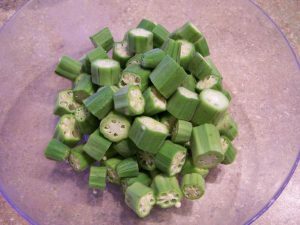 I had never had Okra before making this, so I wasn’t sure what to expect. They were so delicious though! I will definitely be making Okra again. Preheat oven to 400°F. Line a baking sheet with foil and spray with non-stick cooking spray. In a small bowl combine the flour and salt. In a second bowl, beat the egg with a splash of water. In a third bowl, combine the bread crumbs and cheese. 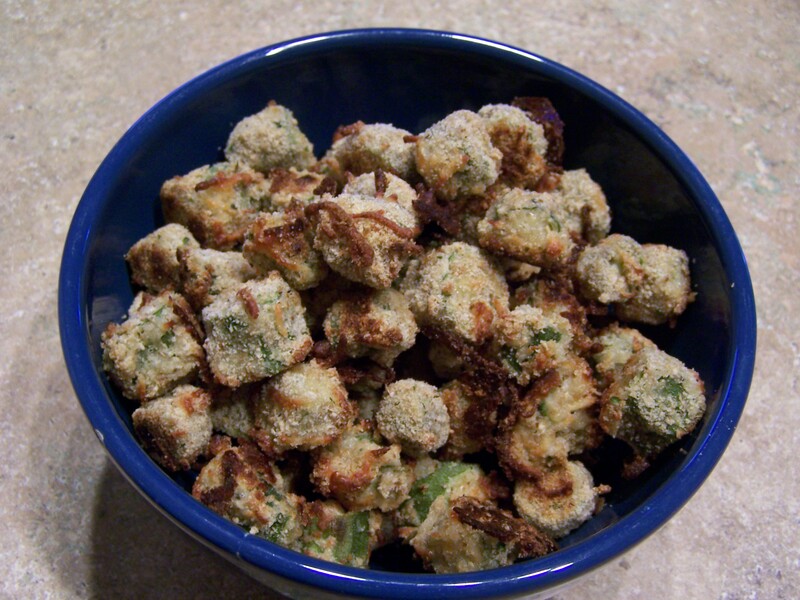 Dredge the okra in the flour & salt, dip in the beaten egg, then coat in the bread crumbs and cheese mixture. Place on the prepared baking sheet. Bake until browned, about 15 minutes.